We have been serving our clients with a wide range of Neem and allied products. Customer satisfaction is our priority and this is the reason that we bound to ethical business policies while delivering superior quality Neem and neem products to our clients. Herbal extracts of Neem comprises of Neem Leaf, Neem Seed Extracts (Azadirachtin 10-41 %). 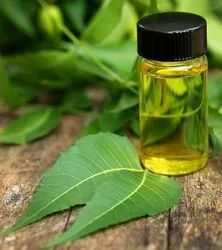 Cold Pressed Neem Oil contains several compounds which have proven medicinal and agricultural uses of high value. 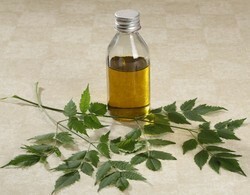 The most common use of neem oil is for soap production. This indicates vast scope for expanding neem oil production. Estimated at <10 –17 torr. Soluble in Aliphatic Alcohols, Esters and Ketons and insoluble in Hydrocarbon solvents and water. Packaging Details: 50 Litre Jars to 200 Litre Containers. Plvarised from pure dry and fresh season neem seeds, our neem seed powder is widely in demand in the market. Possessing high medicinal value, these are used in various cosmetics and can ideally be used in fertilizers. 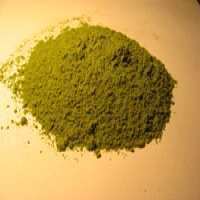 Neem seed powder is available for bulk supply. Experiments show that the neem seed powder gives much better results than neem cake if applied in the soil.